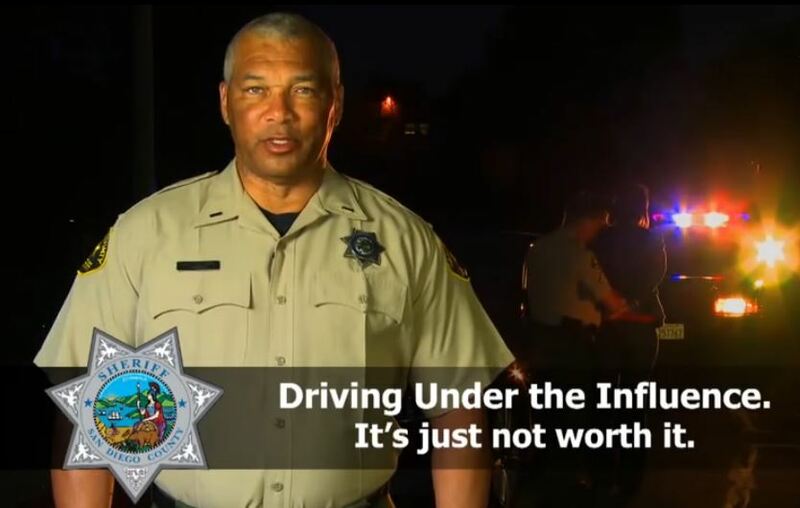 The San Diego Sheriff’s Department is adding extra DUI patrols across the county through early Tuesday morning to protect the community from drunk drivers during the Cinco de Mayo celebration. Public service message from San Diego Sheriff’s Department. “Cinco de Mayo has unfortunately become one of the most dangerous days of the year, all because of drunk driving,” said Sheriff Bill Gore. Gore advised residents that if they do drink while celebrating Cinco de Mayo, be sure to have a designated driver ready or call a taxi . Later this month deputies will also be cracking down on people who don’t wear their seat belts. The Click It or Ticket campaign will run from May 19 to June 1. Last year 1,012 citations were issued for seat belt violations. Funding for the Cinco de Mayo DUI patrols is provided by a grant from the California Office of Traffic Safety, through the National Highway Traffic Safety Administration.